Having made our way from Stuttgart to München by train yesterday evening, today was solely focused on BMW. Across from the Olympic Park is BMW Welt (BMW World), the BMW/Mini Museum, and their Munich plant, which employs approximately 9000 "colleagues," all nestled beside the worldwide headquarters. 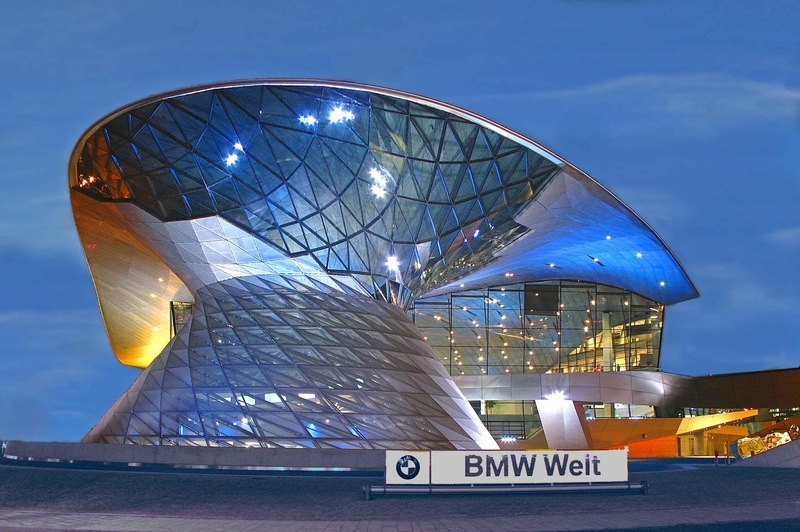 First stop was the BMW Welt to see their product lines, plus Rolls Royce and Mini -- both of whom are owned by BMW. We had a chance to see first-hand some of the differences between their German-made cars and their US-made SUVs. After the Second World War, BMW survived by making pots, pans, and bicycles until 1948, when it restarted motorcycle production. 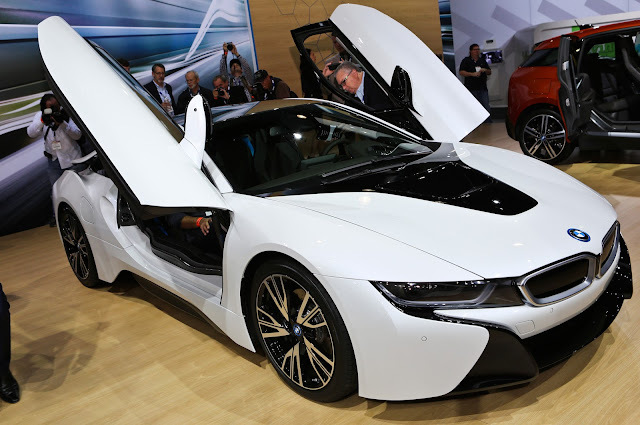 BMW began building luxury cars in Bavaria in 1952, where it continues to this day. 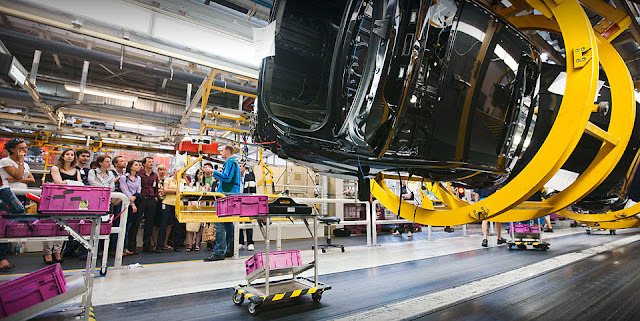 We toured the the neighboring factory that builds 3-Series sedans and wagons, the 4-Series coupé. 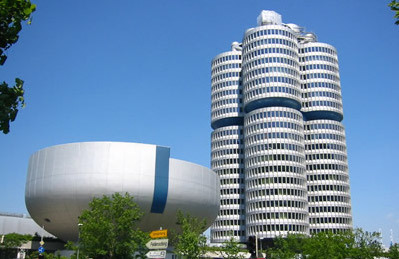 Numerous variants of BMW gas and diesel engines, as well as high-performance power units for BMW M-models also originate from the Munich plant. Different than the tours thus far in Germany and those on the Japan Benchmarking Tour, this was our first opportunity to see the pressing of panels and painting of the body. 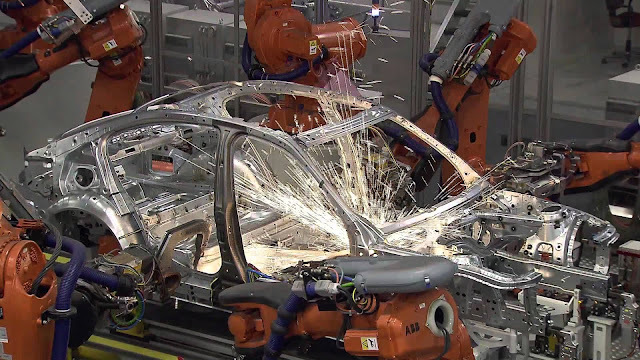 Each manufacturer chooses which elements to disclose and "show off," so it takes a few different factories before you get the full picture of manufacturing process. The welding process is 100% automated and the tact time for the plant is 58 seconds -- down from 60 seconds last August. While 2 seconds may not seem like a lot, it means that each car takes 77 minutes less to complete. Manufacturing of the engines is significantly less automated. The V12 for the 7-Series and Rolls is 100% hand-made... probably something you like to brag about as an owner. The V8 is 18% automated, the 6-cylinder 40% automated, and the new 3-cylinder (currently used in the i8 and Mini) is 60% automated. Following the plant tour (and a lovely lunch), we had the opportunity to spend some time in the Museum. It walked us through time all the way from BMW as exclusively an airplane engine manufacturer, to the preparations for a press event this evening to display the newly disclosed 7-Series.